Play without paying and you'll have a blast, but spend the $3 for a whole lot more. Super Stickman Golf is one of the all-time iOS classics in my book, delivering a fun and fast-paced twist on the sport that makes perfect sense for mobile. By transforming the game into a streamlined side-scrolling experience, Noodlecake Studios one-upped the likes of EA’s old Tiger Woods series, which inelegantly squeezed a more traditional 3D simulation onto touch screens. 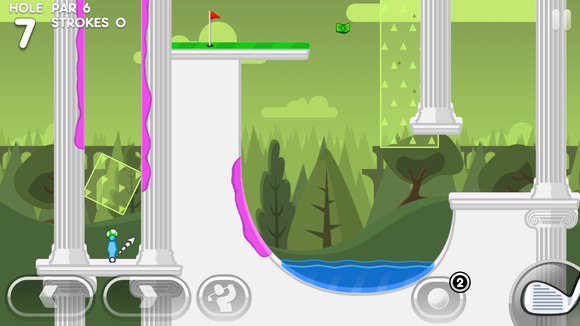 The 2011 original was followed by an even larger sequel in 2013—and then the delightful Flappy Golf, a silly-yet-amazing Flappy Bird riff—and now we’ve arrived at Super Stickman Golf 3. No surprise here: It’s fantastic fun, lightly enhancing and expanding upon the familiar formula. 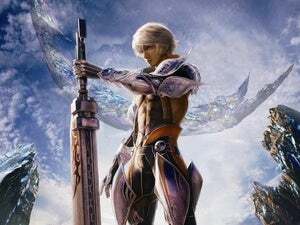 But unlike the first two games, it’s a free-to-play game from day one, which means it’s up to you whether you swing open your wallet to drop some cash into the game. Noodlecake’s series still gives you the essence of golf, but does so in a completely fresh way. You’ll still go for long drives and precise putts, try to avoid sand traps and other hazards, and finish each hole at or under the par score. But here, the entire course exists on a 2D plane, which may mean the hole is to the right or left of where you tee off—or quite often, above or below as well. Or maybe even through a colored portal! Completing this hole involves vaulting your ball into gravity-thwarting accelerators and either using or avoiding the sticky walls. Yeah, it gets a little complicated. It’s a sports game but also a platform game and a puzzler, as you guide your ball up and around danger and try to figure out every curious obstacle that’s in your path. And each of the 20 nine-hole courses is totally different, whether it’s sliding along the jagged edges of Crystal Cliffs, overcoming the treacherous rotating saw blades of Buzz Land, or navigating the gooey walls of Sticky Zone. And there’s more creativity at play, too, thanks to the various ball types and hats. New balls are unlocked as your player level rises, and you’ll be able to swap your common golf ball for one that fires in a straight line until it hits something, for example, or one that immediately zags in the opposite direction when you tap the screen. Golfer hats also add a handy perk for each round, such as giving you a shot preview while aiming or making the ball bounce more than usual. 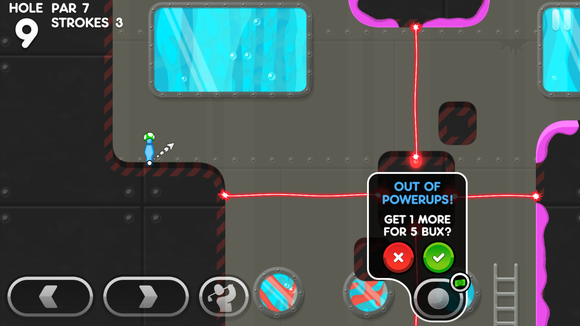 There’s strategy in how you aim the ball and how much power to put into the tap-based meter, but also in how you use the power-ups and when. That’s what makes Super Stickman Golf even brainier than you might expect, but also a lot more fun—and it adds a ton of replay value to what is already a pretty large game. Used up all of your allotted ball power-ups on the course? Pay a few in-game bux for another. 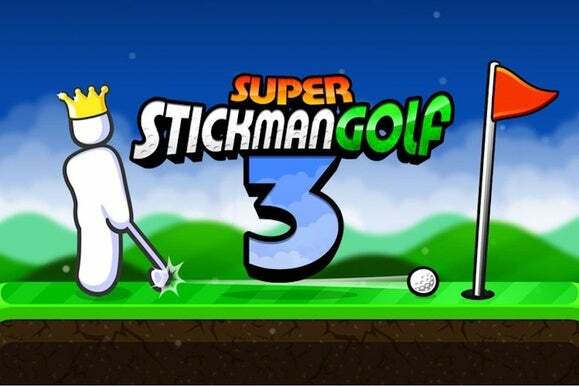 Super Stickman Golf 3’s one notable upgrade to the moment-by-moment gameplay is the ability to add spin once the ball has landed, which you’ll need to master to shave strokes off of your tally and dominate your friends on the leaderboards. Meanwhile, the game also adds a Daily Race mode, which lets you connect with random online players for a one-hole shootout to be the fastest to sink your ball. It’s a nice little quick-hit addition, plus it’s tied right into the freemium side of the game. It’s all pretty good news, actually, and here’s the best of it all: Super Stickman Golf 3 doesn’t limit the core single-player experience at all, and you can play through all 20 courses as quickly or as often as you’d like without hitting a paywall or energy meter. That’s a crucial move that keeps the game as engaging and welcoming as past entries, and it also means that a lot of players probably won’t even consider paying for the premium upgrade. They won’t need to. You will run into a large pop-up ad image after playing a course, which can be easily cleared by tapping the X, although a couple times I accidentally tapped the ad while hurrying through menus. Still, they’re not overwhelming or obnoxious. You’ll also hit some restrictions on multiplayer: You can only play a handful of asynchronous turn-based matches at the same time, and the Daily Race limits your number of free attempts to win the hole. Paying for Super Stickman Golf 3 is optional, but the benefits are well worth it. Longing for Super Stickman Golf’s premium days of old? No problem: There’s a $3 in-app purchase that brushes aside most of the freemium feel, taking away the ads and Daily Race limit, bumping the turn-based battle limit up to 25 at a time, and even giving you access to all future downloadable courses. You’ll already find six available to download, with more coming down the line, and that alone could be worth it for fans. The premium unlock also comes with five bonus packs of cards, which is SSG3’s new system for doling out hats, cosmetic ball trail animations, experience points, and in-game money (bux) too. You’ll earn a pack after finishing each course under par for the first time, and can purchase more with bux. Luckily, the game never feels like it revolves around amassing quality cards. You might find a helpful perk or cool-looking golfer costume or ball trail, but you won’t be hobbled if you don’t buy extra packs or pay for the unlock. 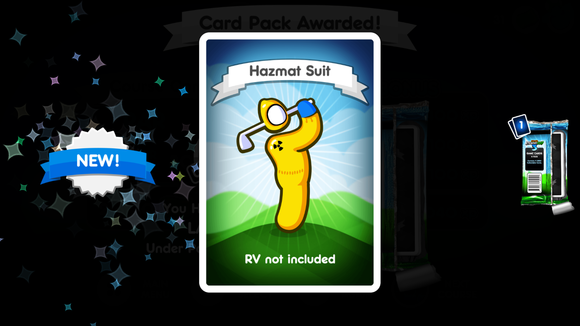 Solid pop culture reference, Hazmat Suit card. Solid. But if you plan on playing Super Stickman Golf for the long haul, you should jump on that $3 upgrade. Not only does it give you more courses, but killing the ads saves a little hassle and competitive players will appreciate the expanded multiplayer limits. Also, for a game you may well spend dozens of hours playing, you’ll hopefully feel good paying a pittance to the developer for so much fun. Beyond the premium upgrade, a couple of other bonus features are sold separately: You can double all earned experience points for $2, or get an indicator that shows how strong your last shot was for $2 as well. 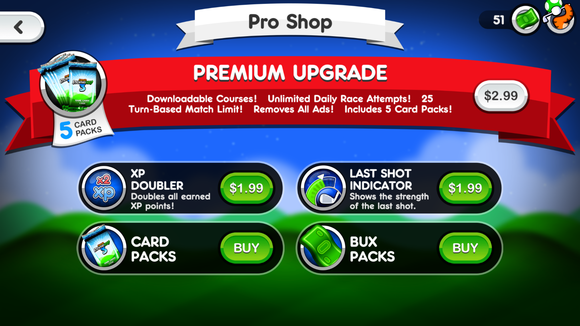 And packs of bux are sold for $1 to $20 apiece, with the in-game cash used to buy extra power-up balls, level up your golfer profile faster, and so on and so forth. Super Stickman Golf 3 really doesn’t break the mold, and as far as sequels go, it’s a pretty safe one. That’s not a problem, though: The small tweaks are meaningful, the new courses are just as fun as the familiar ones from past games, and the Daily Race mode adds something to look forward to each day. And best of all, the freemium model is totally great, letting you play as much as you want without spending a dime—although you can pop in $3 for a feature-packed upgrade, or pay a couple bucks each for other premium perks. Going free-to-play from the start certainly didn’t hurt Noodlecake’s latest, and if you’ve enjoyed the tricky challenges and frantic golf races of the previous entries, then you’ll want Super Stickman Golf 3 in your life, stat.